Nothing wrong with buying gifts for their friends...whoever as long as they aren't loitering around during school hours. 0 Response to "Photo: Shouldn't they be in class? 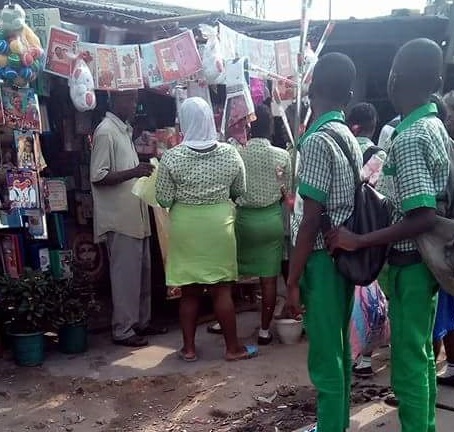 Secondary students gather at a shop buying Valentine gifts"